Animal Bytes from the San Diego Zoo. Animals from all over the world are indexed geographically by continents, by order, and by habitats and ecosystems. Scroll over to the right on their menu bar and there's a whole big section on plants, including a list of all the species at the zoo! Animated map of what Earth would look like if all the ice melted "We learned last year that many of the effects of climate change are irreversible. Sea levels have been rising at a greater rate year after year, and the Intergovernmental Panel on Climate Change estimates they could rise by another meter or more by the end of this century. As National Geographic showed us in 2013, sea levels would rise by 216 feet if all the land ice on the planet were to melt. This would dramatically reshape the continents and drown many of the world's major cities." Note: 216 feet is about 66 meters (65.8). Also, the rate of melting may vary over time. Could it all melt? It has, at times in the far past. Draw your own conclusions. Arkive is no more. We regret their loss. It was a wonderful learning site. Biomes from Enchanted Learning. Their usual fine site for elementary kids. Biomes of the World - What's It Like Where You Live? From Missouri Botanical Garden. A great and renowned biome intro for kids. Biomes Lessons with quizzes from Wahtonka High School. Bioweb "Canada's environmental destination for kids" Organized into six sections: Wildlife, Climate Change, Energy, The North, Waste, and Land Use; then these are cross indexed under Games and Activities and Homework Help. Under Climate Change/Games and Activities, we've done Chain Reaction (food chains) in the computer lab, under Climate Change/Homework Help we've done Tree Ring Analysis in the lab. Both kept kids engaged and learning. Recommended! Comparing the invasive Snakehead to the native Bowfin. Snakeheads come from East Asia. Snakeheads are spreading out in the eastern US and Canada. They are tough and fight hard when hooked. They are good to eat and there is a market for them. They spawn (lay eggs) several times a year. Bowfins are Native to eastern North America. They don't taste good. They are not good to eat, unless you are starving. old group of fishes. The Bowfin is more primitive than most other fishes. Its fins have hips, similar to the first fishes that crawled on to land. They are tough and fight hard when hooked. The males have a tail spot. months old. They have been around since the Triassic Period. They are not bad for the environment, they are a natural part of it. Creepy Desert Creatures! a Brave Wilderness episode, one of a series. Coyote Bob Peterson, his cute, hyper, eight year old daughter Pup, and the crew visit Tucson, Arizona to discover some Creepy Desert Creatures! And find them they do, in this 22:30 Youtube offering! Watch the team as they examine: a giant desert centipede, a tarantula, an anthill of red ants, a solpugid (camel spider), finishing with a giant desert hairy scorpion under a black light which appears quite scary. Next the team checks out a Western Banded Gecko who's out hunting (like everybody else in this video)! Next they find a Spadefoot Toad. Then, at last, a Western Diamondback Rattlesnake! Hyper Pup is not allowed to approach, but takes it in good grace. There are dozens of these videos for kids to watch! Ecology is a 98 page pdf book! Profusely illustrated with highly relevant infographics, it covers all the basics of ecosystems, habitats, biomes, environmental destruction, plant succession, demystification from rainforest destruction, biomass, nitrogenous soils, acidic soils, types of plants - oh, we can't list it all, there's just so much. Little asides like the rediscovery of Dawn Redwood trees and Gingkoes in China, and Wollemia trees in Australia. Civilizations being destroyed by drought (climate change) is investigated. This pdf is disjointed, no table of contents, and reads like transcribed lecture notes. However, it is a font of information, all in one place. Average reading comprehension level is secondary schools and up. A proactive teacher of lower grades could pull material out of this pdf, to build or supplement elementary science lessons. Ecosystems from NatureWorks is a good coverage of the subject for kids and teachers alike. Covers it all in one page, too. Endangered species: games and how you can help. "Learn how loss of habitat and ecosystems can lead to a decline in biodiversity, and how the Endangered Species Act helps conserve endangered and threatened species." 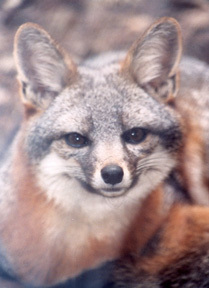 Endangered Species and Conservation Biology Part of Kids Do Ecology, from UCSB. Great information and links to other sites. From here, you can learn about condors, bald eagles, endangered sea birds, the Santa Cruz Island Fox, and even pygmy mammoths! Environmental websites for kids from EarthEasy is a list of links to 24 websites from all over the world. Kids learn about all sorts of topics, many sites have activities, most have animated characters and/or contests, too. Google Streets in the Deep The Instructify site wrote: "The good people at Google Street View have recently partnered with The Catlin Seaview Survey to provide underwater street views of several breathtaking reefs around the world. You can take your students on a fieldtrip to swim with sea turtles and manta rays without having to be scuba-certified. From identifying the variety of aquatic life forms depicted in and around the reefs to writing short stories set in the reefs; the possibilities for classroom use are as wide as the ocean and as deep as the sea. You can explore the complete collection here." Great Plains Nature Center Website Index The Great Plains Nature Center in Wichita, Kansas is a wonderful place that lets all ages learn about the Great Plains' habitats: The prairie, woodlands, lakes, rivers, streams and wetlands, and the plants and animals who live there. Scroll down through their index. Make sure to look at the "INTERNET VERSIONS OF THE GPNC POCKET GUIDES". There are extensive! Guides for Raptors, Mammals, Snakes, Great Plains Shorebirds, (Where else could you find that? ), Freshwater Mussels, Kansas Threatened and Endangered Species, Great Plains Waterbirds, and Wildflowers and Grasses. You will find information on every native animal, bird, fish, and plant in Kansas, most of which are native to all of the Great Plains of North America. Their Prairies of the World page is also worth a visit. So glad we found this site and are able to share it with you! Grey Wolf Facts for Kids These quotes are from an article by Howard Meyerson of The Grand Rapids Press for MLive.com. "Schoolchildren put lessons about wolves to good use by building website... a website about wolves “put together for kids by kids,” is highlighted. It’s called “Grey Wolf Facts for Kids.” The elegant and informative website was written and developed by the children at Reeths-Puffer Elementary, one of Michigan’s official Green Schools." The 3rd and 4th graders “... wanted kids to know that wolves are not scary creatures but are powerful creatures.” Please go read the rest of Mr. Meyerson's article for more, it's great! The website is full of good wolf information. Habitats from the Office of Naval Research, USN, covers the habitats of the ocean. Yes, the oceans have habitats, too. Habitats covered are: Beaches, Coral Reefs, Estuaries, Hydrothermal Vents, Kelp Forests, and Sea Grass Beds. Each has these sections: Characteristics, Life, Humans & the Environment, and a Quick Quiz. 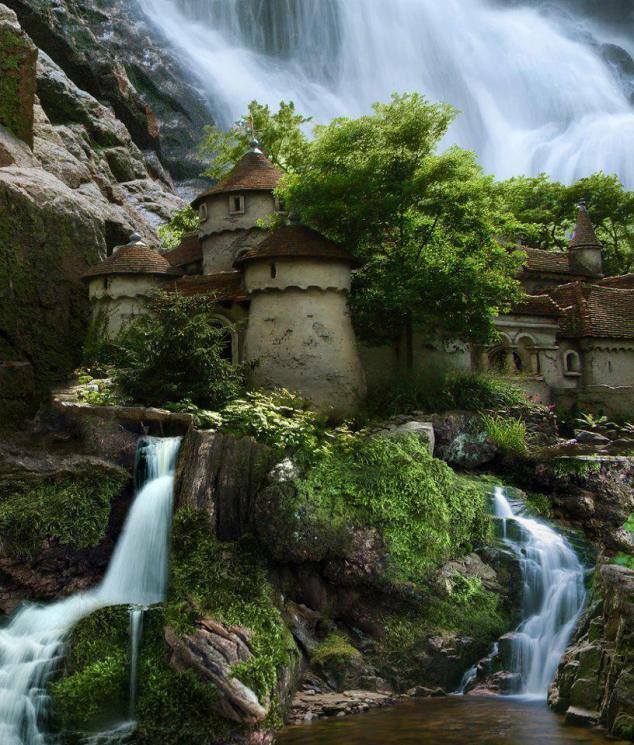 Habitats from BBC Nature is an exciting list of some very interesting habitats! Sorted into Terrestrial, Freshwater, and Marine habitats. There are 29 Terrestrial, eight Freshwater, and nine Marine habitats. Some of them will be new to learners outside the UK: Brownfield land, Chalk grassland, Parkland and others in Terrestrial. Bog, Marsh, Swamp, and Wetlands are all different Freshwater habitats. All are different, and different animals and plants are adapted to live there. Click on any habitat and after the description you find What Grows Here? (plants) and What Lives Here? (animals). Click on any plant or animals photo and up comes a full page description! Brings a new focus to love of the planet and caring for our fellow organisms. 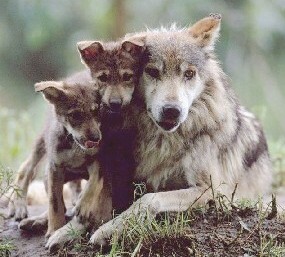 How Wolves Change Rivers 4:33 long video narrated by George Monbiot describes how restoring wolves, a keystone predator in the Yellowstone Park ecosystem, caused a trophic cascade. The ecosystem balanced is restored and a cascade of effects causes major changes, even reshaping rivers! When he says "deer" he means "deer and elk (wapiti)" Yes and he sounds something like David Attenborough. Nat Geo had this to say: "The thing about this case study is that the same can be applied to apex predators around the world: lions in Africa, tigers in Asia. Sharks, bears, and wild dogs are all species sitting at the top of their respective food chains, creating stability amongst the species they prey on and maintaining the health of plants and animals right down the trophic ladder." Watch this video and be amazed! Journey Into Amazonia from PBS. Excellent site that covers the Amazon basin. Includes everything elementary and middle school would want to know. The Amazon Explorer game is great. Kids Do Ecology from UC Santa Barbara is a nice, kid-friendly intro to ecology. Well done site, be sure to explore it - and its links! The Livestock Conservancy "Ensuring the future of agriculture through the genetic conservation and promotion of endangered breeds of livestock and poultry." A fine resource for teaching learners about breeds, crossbreeding, bio-diversity. Ancient breeds of livestock and crops are sort of emergency backup systems. If crops or livestock get too inbred (genetically similar) then harmful diseases (think Irish Potato Famine) might destroy them all. Maintaining pure varieties of ancient, non-hybrid breeds is like having insurance that can be put into the gene pool to correct problems. However, some of the individual ancient animals and plants must be kept unmixed in case we need them again. Ancient strains of rice, potatoes, maize, beans, heirloom tomatoes, etc., have saved crops many times. Livestock such as Ancient White Park Cattle are also examples. "They were bred and used for ceremonial purposes during the pre- Christian era. (Think Druids, Bronze Age, Celts, etc.) Bloodtyping has demonstrated the importance of conserving Ancient White Parks, since remarkable genetic distance exists between this breed and all other breeds of domestic cattle." This means they have ancient genes unchanged by human breeders for thousands of years. Also they are cool to look at. There is a complete breed list of endangered ancient breeds. It lists cattle (lots), donkeys, goats, horses (lots), pigs, rabbits, sheep (lots), chickens (lots & lots), ducks, turkeys, and geese. Pictures of every breed, breed history, and how they got on the list. Meet the Greenhouse Gases! from NASA's Climate Kids > Make Stuff section. Download and print your favorite cards! There are six fact-filled cards, one about each gas! Nocturnal Animals Unit - a Pinterest board by Kristina Abernathy. Mainly aimed at younger kids pre-K - 2nd or 3rd. Over 50 activities in all; plenty of crafts, also children's literature, grammar, KWL, elementary science and vocabulary, counting mathematic, printable sheets, items for bulletin boards, and miscellany. Mostly covers bats and owls, but some sections discuss deer, badgers etc. Ocean Collection for Kids This is a group of ocean sites for kids put together by faculty from Cal State LA. They cover ocean habitats, ocean mammals, and ocean fish. This is for elementary kids and has good simple explanations. 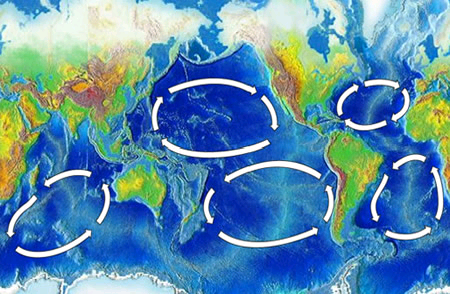 Ocean Garbage Patches "NASA Video Reveals How 35 Years of Trash Turned Into Ocean Garbage Patches. The Great Pacific Garbage Patch is the most well known, but there are five gigantic clumps of trash in the world’s oceans. Now, a visualization by NASA shows how all the litter people around world carelessly toss onto streets and sidewalks travels on ocean currents and settles into those five gross globs of drifting detritus." There's a related slideshow, 5 Shocking Photos of What It’s Like to Swim in Ocean Plastic Pollution. Octonauts is a British TV show for kids. 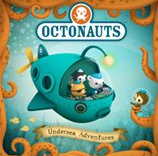 "The OCTONAUTS are a team of quirky and courageous undersea adventurers who are always ready to dive into action! Their mission: to explore new underwater worlds, rescue amazing sea creatures and protect the ocean." This link goes to their games and activities site, where there are eight online games. Octonauts: Gup Close Up Life Aboard The Octolab introduces the characters and the lab. Episode listing is on the right edge of the screen. Plankton Chronicles "Plankton are any organisms that live in the water column and are incapable of swimming against a current. They provide a crucial source of food to many large aquatic organisms, such as fish and whales." (from Wikipedia) Watch videos and see photos of various sorts of plankton. There are 16 HD videos with more being added. Each narration explains the organism it's about. Very good quality videos with good sound, too. Click and explore the ocean and see different kinds of plankton emerge. This covers larval crustaceans, larval fish, cnidarians, ctenophores, diatoms, mollusks, tunicates, larval worms, various echinoderms, and more. All these can be plankton. Project FLOW (Fisheries Learning on the Web) This is a series of three units about the Great Lakes of North America, from the University of Michigan: Food Web (Unit 1), Water (Unit 2), and Fish (Unit 3). The URL goes to Unit 1. Each unit has five lesson plans, and we mean BIG lesson plans. Everything teachers need to do each lesson is prepackaged and downloadable, even worksheets and graphics. We're talking Activity, Subject, Duration, Key Terms, Objectives, Material needed, Preparations, Procedure, etc. This was a huge effort and a lot of pdf files for the people who put this together. Red List of Threatened Species "Life on Earth is disappearing fast and will continue to do so unless urgent action is taken. There are now 41,415 species on the IUCN Red List and 16,306 of them are threatened with extinction, up from 16,118 last year." Search the Red List for animals, birds, and plants here. Santa Cruz Island Fox A study of the Santa Cruz Island Fox, this shows how the delicate web of ecology can be shredded, and how it can sometimes be repaired again. Sizing Up Sharks, the Lords of the Sea "Sharks range in size from the largest fish on the planet to the length of your palm. See how you compare to some of these vulnerable predators that are so crucial to the ocean's health." 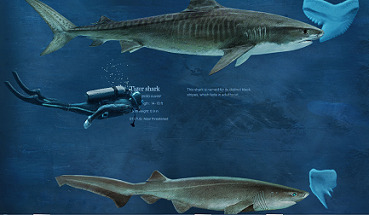 Interactive chart with sound effects shows exactly how big those sharks are, compared to you! From NatGeo. Stream Biology and Ecology covers the biology, ecology & habitats, all the science of studying streams. Appealing format, too. Basics of Stream Ecology covers everything about a creek or stream! Stream Residents and Visitors (Biology) is shorter, but it has links to information about plants, animals, microscopic life, with lots of pictures (love the crawfish collection). How Biologists Study Streams (Science) covers terms, sample collection methods, collecting measurements, data identification and sorting, and an overview of analysis and reporting. Pretty cool. Thanks to the ladies who developed the idea and built the site! Teach Ocean Science Amazing, stupendous, colossal. This site features teacher resources (lesson plans) in three sections. (1) Ocean science curriculum "Teach an entire ocean science course or incorporate ocean concepts into your science classroom using this database of scientist and teacher-approved lesson plans." (2) Using the ocean to teach STEM has five interdisciplinary STEM activities ready to go as pdf files. (3) Modules - ten modules and a glossary covering various animal, vegetable, and mineral aspects of the sea. "Brush up on your ocean science content knowledge or find lesson plans to teach about the coastal ocean using these graphic interactive modules compiled by teams of scientists, teachers, and students." Termites: Guardians of the Soil New York Times article. "...termite mounds serve as oases in the desert, allowing the plants that surround them to persist on a fraction of the annual rainfall otherwise required and to bounce back after a withering drought." Learn why "termites are extremely good for the health of the soil.” Find out how the giant termite mounds of Africa and South America benefit the local ecology and are part of the biosystem. Learn about peaceful, well organized termite society, 50 million years older than ants and bees. Lots of photos - you won't believe what that mama elephant is doing! Twelve year old Florida girl finds invasive lionfish can live in fresh water. Her research was published after peer review, and after scientists replicated her results (that's part of a peer review). There are two videos that tell the story. One is from her local TV station, WPBF, story by Randy Gyllenhaal. The other is from CBS News, story by Vicente Arenas. This is an object lesson in the scientific method. It's also a lesson on why kids' wonder and curiosity should not be stifled. Elementary School Resources for teachers and kids in grades K-5. BeachKids Play games and learn about beaches near you, or in other parts of the country. Drinking Water Extensive educational material available with activities and experiments for grades K-12. Lots of good interactive games and quizzes. Drinking Water Kids K-3 Student activities and interactive games for kids K-3. Estuaries Estuaries are where rivers meet up with oceans. Learn more about estuaries here, with games, activities, and virtual tours. FishKids Did you know some kinds of fish are safer to eat than others? These fun stories and games will help you and your family choose your fish wisely, whether you catch them yourself or buy them in a store. Polluted Runoff Water from storms can wash all kinds of stuff down drains and into our water supply. Learn how to help clean up stormwater, and how to prevent pollution in logging, mining, and farming areas. WaterKids Create art or work on projects and experiments that teach you how to protect our environment. Who Needs Clean Water crossword puzzle (PDF) For both kids and teachers. WaterSense Kids Visit this site to learn about the importance of water efficiency and simple ways that you can help save water. Be sure to "Test Your WaterSense" with our interactive game. Healthy Waters Start with Water Quality Standards crossword puzzle (PDF) For kids in grades 5-6. Middle School Resources for teachers and kids in grades 6-8. After the Storm Half hour video co-produced by EPA and The Weather Channel that highlights three case studies – Santa Monica Bay, the Mississippi River Basin/Gulf of Mexico, and New York City – where polluted runoff threatens watersheds highly valued for recreation, commercial fisheries and navigation, and drinking water. Drinking Water Kids 4-8 Student activities and interactive games for kids 4-8. Ideas for Science Fair Projects About Surface Water Quality (PDF) Bring attention to surface water quality problems by exploring some of these science fair project ideas. What's Up With Our Nation's Waters? This booklet presents the EPA's National Water Quality Report in an easy-to-read style and includes projects for school or fun, a water quiz, and a glossary and resources for more information. Drinking Water Kids 9-12 Resources for teachers and kids in grades 9-12. Drinking Water: Protecting the Source A 20 lesson course from the FFA complete with instructional materials for teachers that are related to water characteristics and contaminants, and designed to supplement existing instruction in agriculture, food and natural resources courses. All Ages - Resources for everyone. Drinking Water Kids Games and Activities Student and teacher activities and interactive games for kids K-12. Wetlands Education K-12 education materials on wetland resources. Why are they called "fossil fuels"? How does carbon get into living things? How does the carbon get out of living things? Did you know that burning 6.3 pounds of gasoline produces 20 pounds of carbon dioxide? Want to know how? Is carbon in the air good, bad, or just ugly?? This is only one part of this kids' section, designed to teach them about climate change. over Victoria Falls*. So why isn’t the planet covered in the stuff?" 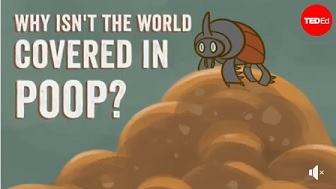 beetles, their lifestyles, how they "handle" poop, and thus benefit the whole world. * How's THAT for a mental image? Weird Fish Marine Reserve is a NatGeo video explaining the benefits of protected places in the ocean. Weird Fish Mel is your kinda offbeat guide. Part of NatGeo's huge Ocean section. We'll have a lot more from there! The Whale Trail "is a series of sites around the Northwest where the public may view orcas, other whales and marine mammals from shore. 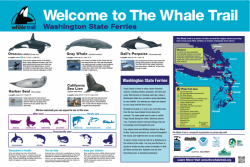 There are more than 50 sites on the Whale Trail so far, in city, county, and state parks; Tribal lands; and the Washington State Ferries. The project is cross-boundary, extending throughout the orcas’ range." Different sites have different signs, with different animals that you might see there. Weight, Length, & Life Expectancy are displayed for each species. Click on the topics down the page to learn much more: Biology, Range, Diet, Social Structure & Behavior, Current & Historical Threats, and more. Going in Animals and Biomes. What If There Were No Sharks? by It's Okay To Be Smart. This four minute video on YouTube explains what would happen to marine ecosystems if we were to kill off all the sharks. Hint: It wouldn't be pretty. Where do I live? from the BBC. Identify animals and place them in the correct habitat. Timed exercise, two levels of difficulty. Nice art and sound effects. World Biomes from Blue Planet Biomes is a concise but comprehensive site. Sparely written at an elementary level but does not talk down to kids. Colorful, too. World Biomes from UC Berkeley is written at a more secondary level. It has good information and pictures.